Absolutely delighted with this service, great flexibility!. Excellent service, saved the day after another company let us down. Delivered less than 2 hours after booking despite being bank holiday monday. Will definately recommend and use this company again. Thanks! everton dome bouncy castle hire liverpool. 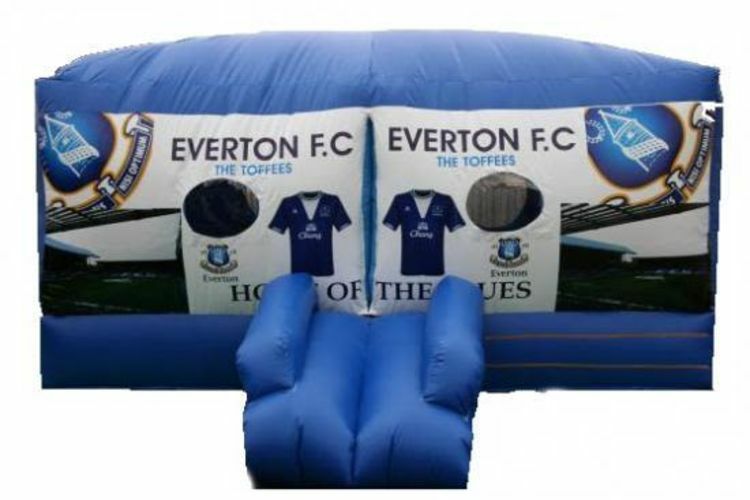 16ftx16ft everton Football Club themed inflatable dome. 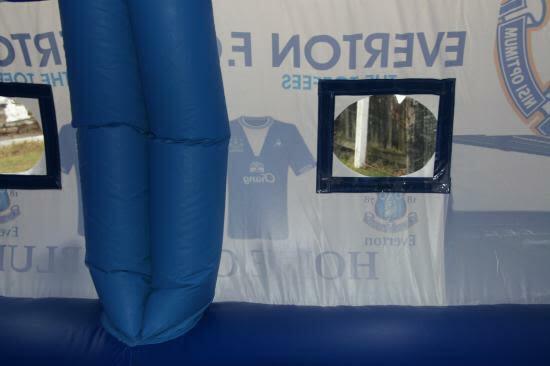 Fully enclosed for those rainy days and great on match days.So here is the E.F.C. 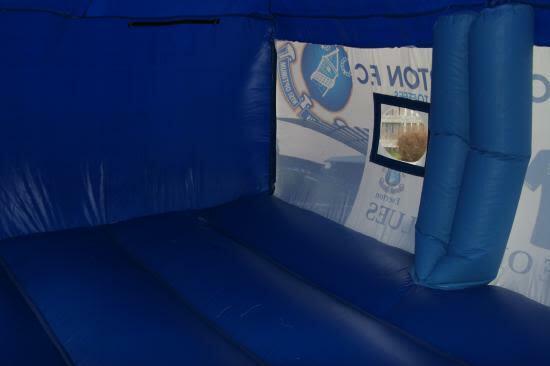 16f tx16ft dome castle.Its fully inclosed so no matter what the weather you can still have loads of fun.It holds up to 6/10 6 years old in age kids a one time.It has great pictures of inside everton ground and has the badges on it.All everton fans will love it,so go and book it on line for your fun day and you will have a great time......We deliver our themed bouncy castles, inflatable slides,rodeo bull hire,plus are assault courses and adult bouncy castles and domes,to Merseyside & Liverpool, Widnes, Runcorn, Wirral,Warrington, and St Helens, and some of these areas and further areas will be a additional fuel charge or toll/tunnel charge.Check our delivery checker on our home page,it will tell you if there is a charge for your area. 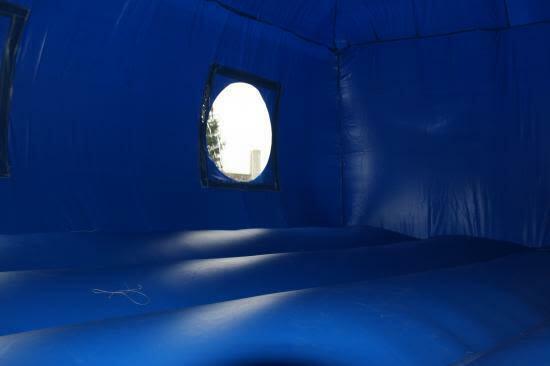 ALL INFLATABLES DOMES MUST BE SUPERVISED AT ALL TIMES BY A RESPONSIBLE ADULT OVER THE AGE OF 18 YEARS OF AGE!